Discussion in 'News and Announcements' started by BlueBeetleHD, Dec 5, 2018. SkittlesTM, FabianTuck, DiamondBudderAxe and 9 others like this. SickleMode, MrDrProfessor//_Prof_, Enunciated and 1 other person like this. Yay! Glad to see another newsletter. I enjoyed reading this month's newsletter especially since the articles were really interesting like the Staff Management Promotions and the Game Insights Overview. I also really enjoyed reading the article on what everyone was thankful for, and I'm happy that I got the opportunity to say a few things! Well done to all of the Newsletter Team and I can't wait what they all come up with for next month's. Have a good day! Joiined, MrDrProfessor//_Prof_, Enunciated and 2 others like this. Reading what the staff had to say about their own teams was also really fun. It's interesting to get a perspective on that kind of stuff! Keep up the fantastic work! MrDrProfessor//_Prof_ and Enunciated like this. Great newsletter. Loved both of the stories on the Game Insights overview especially, which was really interesting to read. Along with Dul and Huskies promotions within Staff Management. Which some may not have known about, or what it meant for their positions. Good to see Grandmaster bringing back the stories, crazy to think it has been almost a year already! Overall, really informative newsletter this month. Appreciative to everyone that took the time for the interviews/creation for the newsletter. MrDrProfessor//_Prof_, Enunciated and CourierID like this. It was a pleasure working with @Enunciated in the making of the GI article! Thanks everyone for the feedback! Joiined, Enunciated and Shaiym like this. Really enjoyed the GI aspect of the article a lot. As someone who is aspiring to be a Champions GI, I gotta say it's really nice to hear more from the people who help and set-up GI the most. All hard working people! Veans, MrDrProfessor//_Prof_ and Enunciated like this. Awesome newsletter! I really enjoyed reading the interviews and reasons to be thankful. I think the pet collab was the best section though. I promise I'm not saying that only because my pets were featured ;) The short story competition sounds like fun. I might decide to enter it if I have spare time. Can't wait for the next newsletter! MrDrProfessor//_Prof_, flawsome and Enunciated like this. Have a jolly Christmas Mineplex! Oscaros_, MrDrProfessor//_Prof_, xxSkillzmasterz and 1 other person like this. Thanks for having me for the GI interview @Spoiler. More importantly, it was a pleasure working on the articles once again - glad you guys enjoy it! SkarmMines, Spoiler and Shaiym like this. Look forward to next months! Theories_, MrDrProfessor//_Prof_, Enunciated and 1 other person like this. Excellent job on the December 2018 Newsletter! I love to read some of the articles that they are interviewing with some of the players. It gives me the insight of them and trying to get to know them more. My favorite article that I love to read is "Staff Management Promotions" because I love the question that Snowy created for Dul and Huskie. I also like the article that has pictures of their pets, and they are all adorable. I am looking forward to reading the New Years Edition for January newsletter next month for 2019! Really enjoyed this Newsletter! I enjoy getting to read interviews with people on different teams as people outside of teams such as Game Insights and Staff Management don't really see what goes on behind the scenes and what the team consists of. It was also interesting to see how the members ended up on those teams and their aspirations before joining the team and the reasoning behind why they wanted to join those teams! I also enjoyed the pets section, they are all so cute and I think that this should be added more often as everyone loves to see cute pets! First ever time being on the Mineplex News Letter and I want to thank @Spoiler for inviting me! 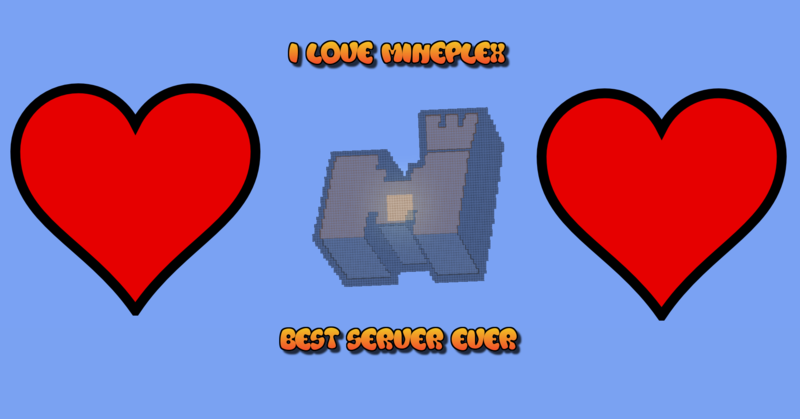 I love being involved within the Mineplex community and wish to be in future news letters! This has also gotten me to think about applying for newsletter. The style of the news letter is almost like a school yearbook, evaluating everything that has happened. Excellent job! I particularly enjoyed this month's Newsletter, especially the StM promotions and the pets of Mineplex! I think you guys did a phenomenal job, keep up the great work! MrDrProfessor//_Prof_ and factionsBR like this. I enjoyed this month's newsletter! I found the StM promotions interesting and the GI interviews interesting as well. The pets of Mineplex... daww they were so cute! Good job Newsletter Team on another great newsletter! Enunciated, MrDrProfessor//_Prof_ and factionsBR like this. I always look forward to another Newsletter. The Newsletter quality just keeps getting better and better. Props especially to the MT and Tort for these graphics, they are off the charts! Well written as always, and I cannot wait to see the submissions for next month! Great work as always folks! Enunciated and MrDrProfessor//_Prof_ like this.